We’re thrilled to launch this year’s Benefit Brew on April 15th right here in the Tasting Room. 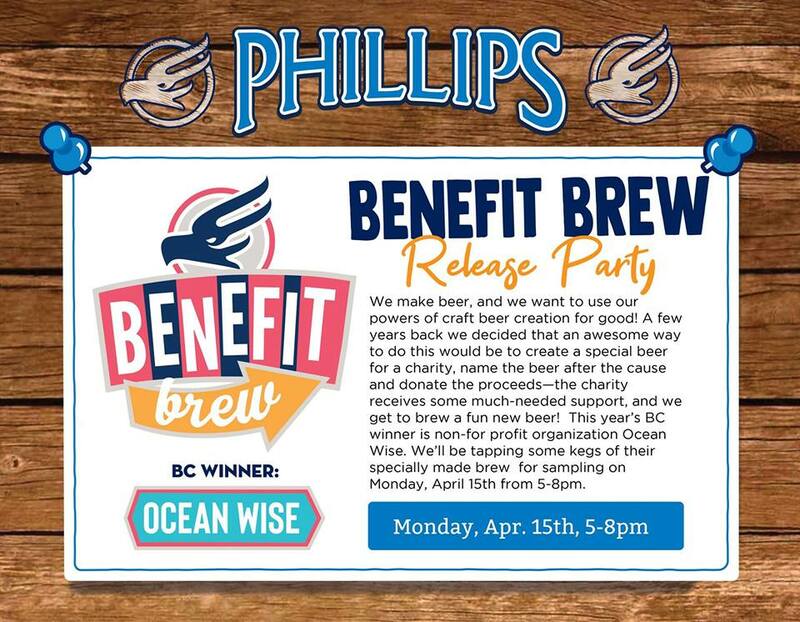 This will also be the ONLY chance to try the 2019 Alberta Benefit Brew: Oldman Watershed Council (OWC) Hazy Kolsch Style Ale alongside the 2019 BC Benefit Brew: Ocean Wise Juicy Pale Ale. Find out more about each of these incredible organizations voted in by the public and help us raise a glass to their amazing work of enhancing our communities!